The best time to photograph Batanes is when the weather is bad and unpredictable. Why? We're in Rakuh-e-Payaman in Batanes. It's a clearing-of-sorts atop a series of gently rolling hills on one end of the island. Here the wind blows with abandon, gasping to almost howling, under a grayish sky with an intermittent drizzle. Just like my vantage point, on the horizon is Mt. Iraya under a shadow cast by a canopy of fast-moving clouds. And every so often, sunlight would pierce through, momentarily lighting up the terra firma. These shafts create ripples of light that race across the shadowed landscape, lending character and drama, transforming a mediocre scene into something much more interesting. Now you don't get that effect when the weather is all nice and sunny! Enjoy. 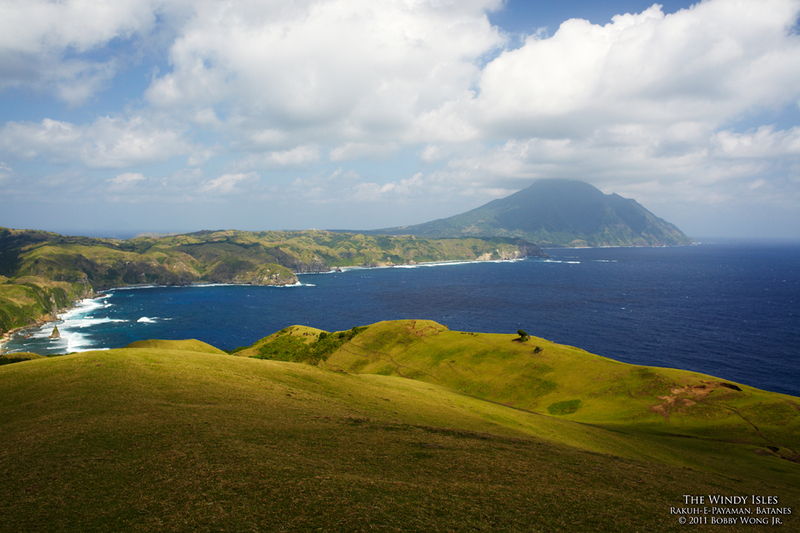 Where in the world is the Batanes?